The players take on the roles of the heads of influential families in Paris at the end of the 14th century. 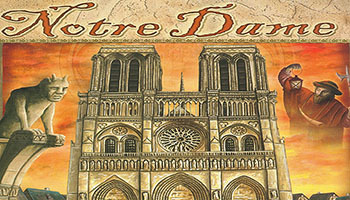 In the shadow of the Notre Dame cathedral, the players compete for prosperity and reputation. 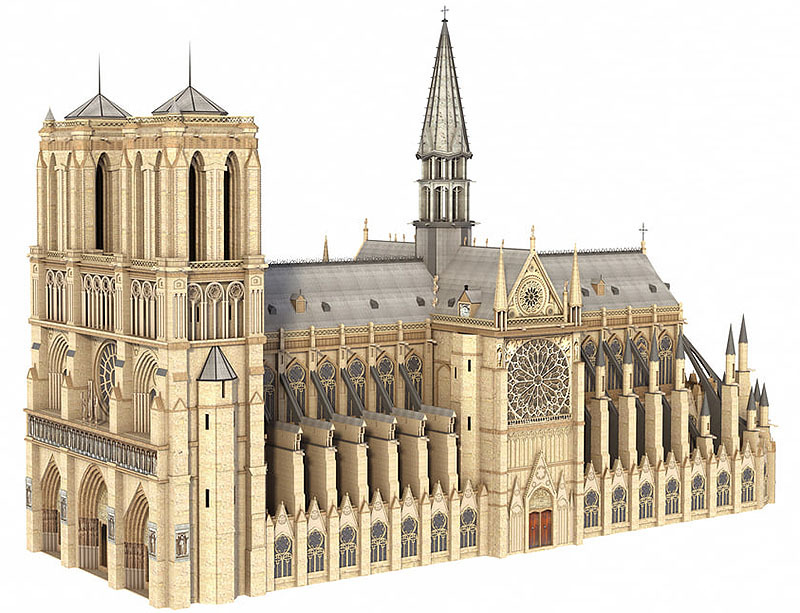 Each family controls one of the 3-5 boroughs that surround the site of Notre Dame. As head of his family, each player tries, through clever use of his action cards, to advance the power and prestige of his family, but penalties are assessed on those who do not take care of the health of the people who live in their borough. The player with the most prestige at the end is the winner. Players play as well-off Parisians in the 14th century who wish to improve the importance and appearance of the city quarter around the famous Notre Dame cathedral. The primary game concept is original, but simple, card play players use to permanently improve their influence in the quarter. However, turn after turn, round after round, players must make choices that can have major implications. After 9 exciting rounds and about 75 action-filled minutes, Notre Dame is over. The maitre who has made the most of his cards and has garnered the most prestige points is the winner. Players assume the roles of heads of influential families in Paris at the end of the 14th century. In the shadow of Notre Dame cathedral, players compete for prominence. Players maximize wealth and prestige using action cards to shrewdly influence the sectors in their boroughs. Adding influence to banks increases access to money; spending on residences increases prestige. In addition to playing action cards, each round players have the opportunity to hire service professionals to help. Players executing this action place one influence marker from their personal supply onto the cloister school sector of their borough. Players then take from the general supply the number of their influence markers equal to the number of markers currently in their cloister school sector, adding the influence markers to their individual supply. Influence markers must be visible to all players. 18 new person cards (6 each of gray A, B, and C). Play the game using the original rules except for the exceptions listed here. Change the game set up as follows: Sort the 27 gray cards by the letters on the back: A, B, and C. Shuffle the 3 sets of 9 cards and randomly select 3 from each stack.